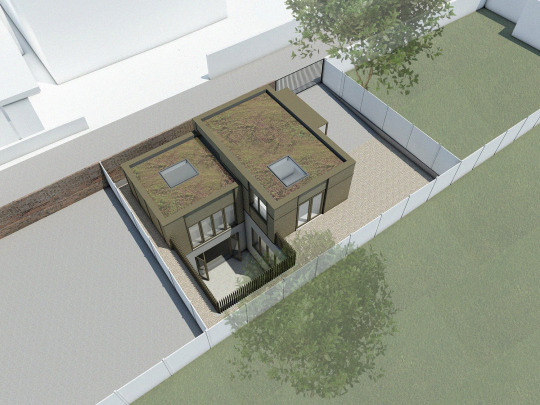 Form Architecture have gained planning permission for the construction of subterranean house in Romford. This compact site is adjacent to residential gardens and required a sympathetic design as overlooking and overshadowing issues would prohibit the approval. 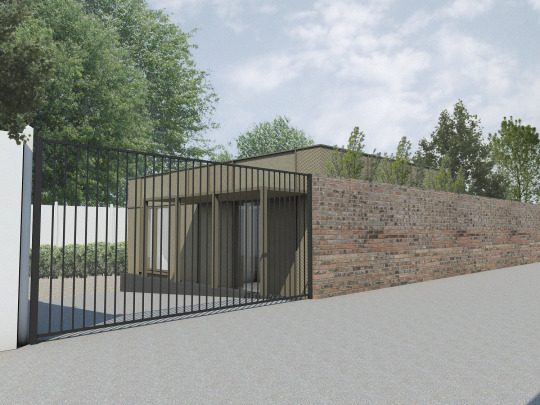 The design utilises basement accommodation with a lightwell courtyard and a single storey structure at ground level to prevent any impact to adjacent properties. The light industrial location of the site informed the use of a robust mesh cladding to integrate with its surroundings. The house has a ‘green’ sedum roof to improve the bio-diversity of the site and to provide a sustainable form of rainwater drainage.